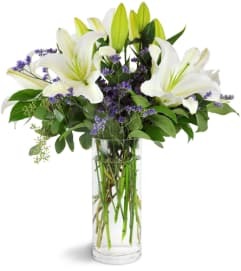 This elegant centerpiece is a beautiful way to decorate your home this holiday season! It's a great way to add some Christmas cheer as your family and friends gather together for some family-time. 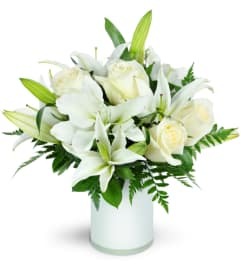 This centerpiece is arranged by our local florist using red roses, carnations, and mini carnations, as well as white chrysanthemums and an assortment of holiday greens. 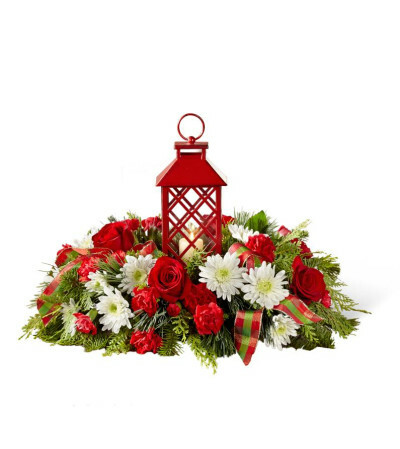 The florals surround a charming red lantern with a lattice pattern holding a single white votive candle. 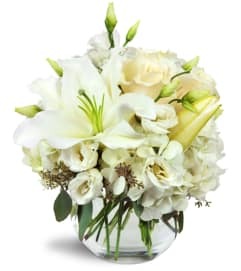 A great arrangement to decorate your holiday table but can also be a wonderful gift for friends and family.